"You have to stand proudly for the national anthem, or you shouldn’t be playing, you shouldn’t be there. Maybe you shouldn’t be in the country," Trump said. “Well, I think that’s good. I don’t think people should be staying in locker rooms. But still, I think it’s good. You have to stand proudly for the national anthem, or you shouldn’t be playing, you shouldn’t be there. Maybe you shouldn’t be in the country,” Trump said in a wide-ranging sit-down with “Fox and Friends” that took place Wednesday but wasn't aired until Thursday. The NFL had previously suggested that players should stand, but it stopped short of enforcing fines. The new policy says clubs can still develop their own work rules for players and personnel who don't stand, but they must be "consistent with the above principles." That means teams could choose to pass along fines to players. Trump, in the interview with Fox, took credit for creating the issue but said it was "the people" who "pushed it forward." "I think the people pushed it forward, not me. I brought it out. it could have been taken care of when it first started," he said. “I’ve done done a great service for the country by firing him,” Trump claimed. "Unless it includes a wall, I mean a real wall ... there will be no approvals from me," Trump said. He said he was "watching one or two" of the bills that are expected to be voted on in the House, following an expected forced vote process by moderate Republicans known as a discharge petition. 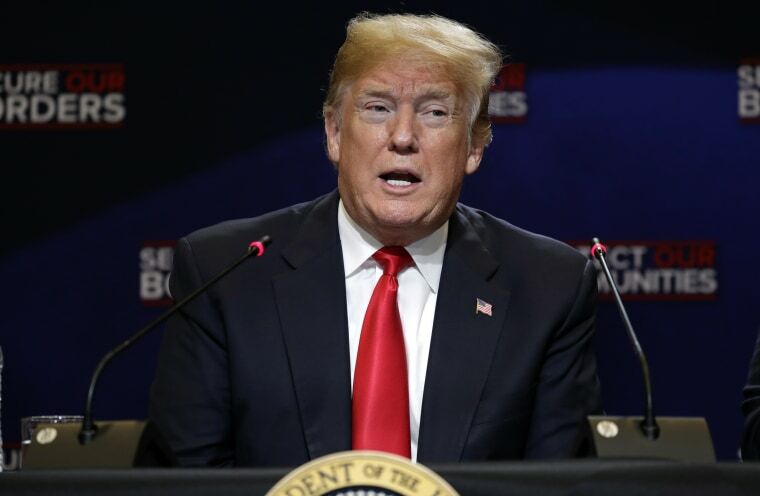 Trump, however, said, "it's time to get the whole package," referring to his desire that any immigration deal include not only money for his wall and protections people covered by DACA, but also increased border security measures like ending so-called "chain migration."